SiriusXM announced today that America’s best-selling solo artist of all time, Garth Brooks, will launch his own SiriusXM channel on September 8. The Garth Channel, the new, 24/7, exclusive channel, will be curated and presented by Brooks. The channel will feature music from Brooks spanning four decades, along with songs from the artists that influenced his iconic career. This is the first time Garth’s music is being presented 24/7 in one place, on radio or online. SiriusXM’s The Garth Channel will also include regularly hosted shows and behind-the-scenes commentary from Brooks, guest DJ specials hosted by Brooks’ fans and friends, live concert recordings and other rarities from Brooks’ treasured archives. Garth Brooks is certified by the RIAA as the #1-selling solo artist in U.S. history with over 136 million albums. He has received every accolade the recording industry can bestow on an artist. Garth has been inducted into the International Songwriters Hall of Fame in New York, the Nashville Songwriters Hall of Fame, Country Music Hall of Fame and most recently, the Musicians Hall of Fame. Garth is currently on the three year Garth Brooks World Tour with Trisha Yearwood. The tour began with 11 sold out shows at the Allstate Arena in Chicago. The tour is smashing records previously held by such acts as The Beatles, The Rolling Stones, and even Garth Brooks. In just over a year and a half, the tour is approaching 5 MILLION tickets sold making it the biggest tour in the world. 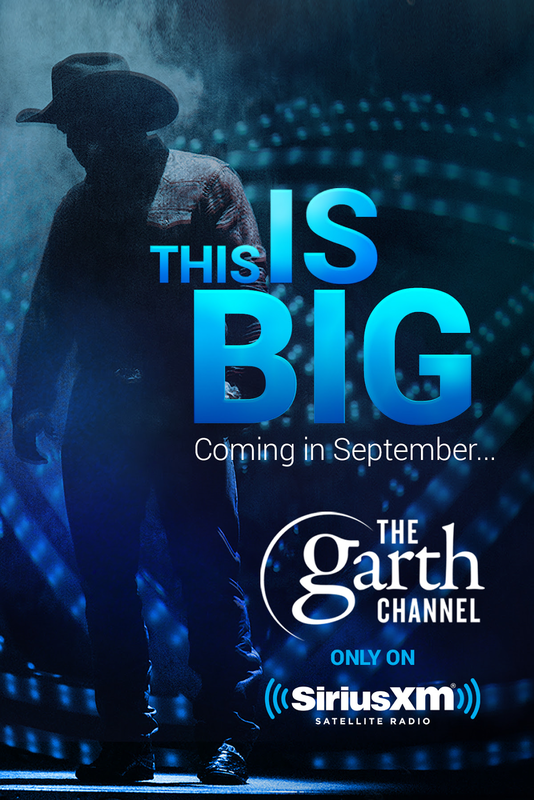 The Garth Channel will debut on September 8 on satellite and will also be available online and through the SiriusXM app.